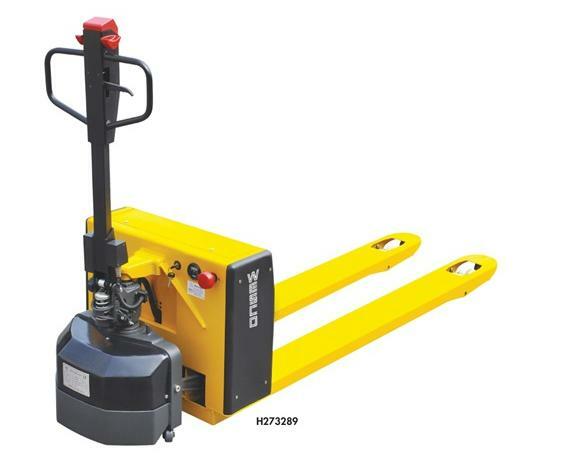 Heavy Duty Semi-Electric Pallet Truck | The Rembert Company Inc.
Manual lift. Lowered/raised fork height measures 3" / 7". 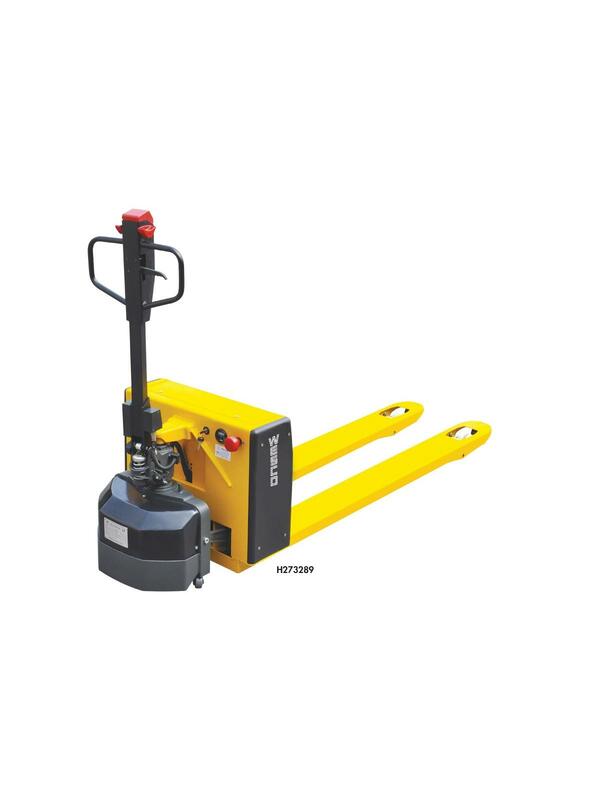 7-1/4 x 2" polyurethane drive wheel and 3" polyurethane load wheels. 62" turning radius. Truck speed with load is 2.8 mph. 2 batteries - 24 volt 38 Ah. 24 volt 8 amp charger. FOB Shipping Point.